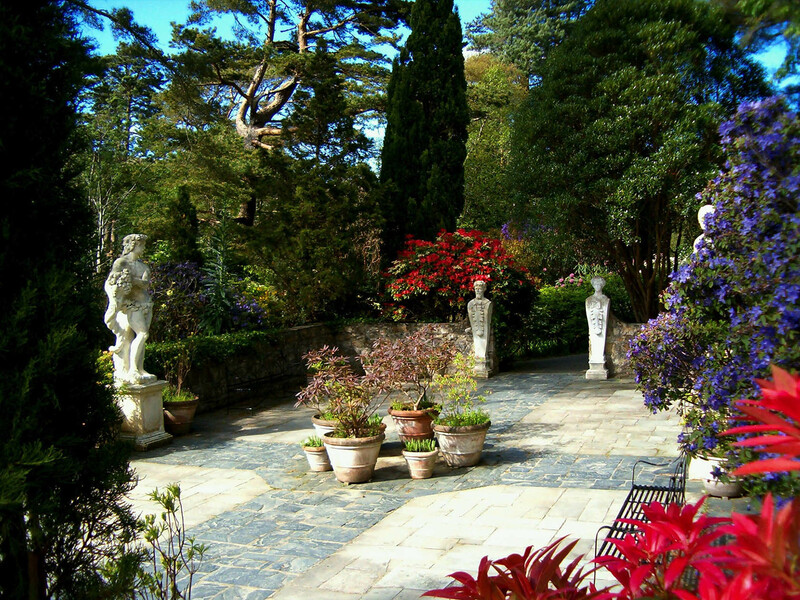 The Italian Terrace on the Belgian walk, just one of the many beautiful examples of garden available in Glenveagh National Park. Glenveagh National Park at 16500 hectares is the second largest national park in Ireland. Throughout the park are various types of natural features including two of the highest peaks in Donegal, forest, bogland, gardens, loughs and many buildings of historical importance including Glenveagh Castle.